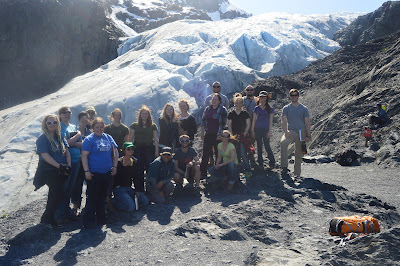 Students on the 2016 NRM 290 field trip pose near Exit Glacier. Associate Professor Pete Fix and 11 students enrolled in NRM 290 will leave May 8 for the 10-day natural resources tour and road trip. 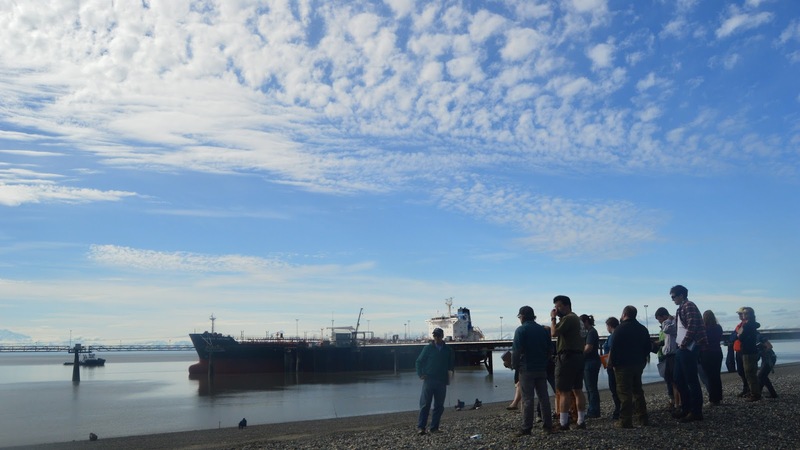 They will get to see Alaska resources and meet the people who manage them as part of the two-credit class, Resource Management Issues at High Latitudes. Students get to hear from and talk with various individuals in the natural resources field, including farmers, foresters, land managers, educators, Extension agents and biologists. They will hear about natural resource issues and get to see operations and sites first-hand, such as Bryce Wrigley’s farm and flour mill in Delta Junction, an oilfield in the Kenai National Wildlife Refuge, impacts of the spruce bark beetle on forestlands, and an Alaska potato chip factory in Anchorage. Stops are planned at Harding Lake, Delta Clearwater, Delta Junction, Glennallen, Anchorage, the Alaska Wildlife Conservation Center near Portage, the Kenai National Wildlife Refuge, Seward, the Matanuska Experiment Farm in Palmer, Denali National Park and the coal plant near Healy. 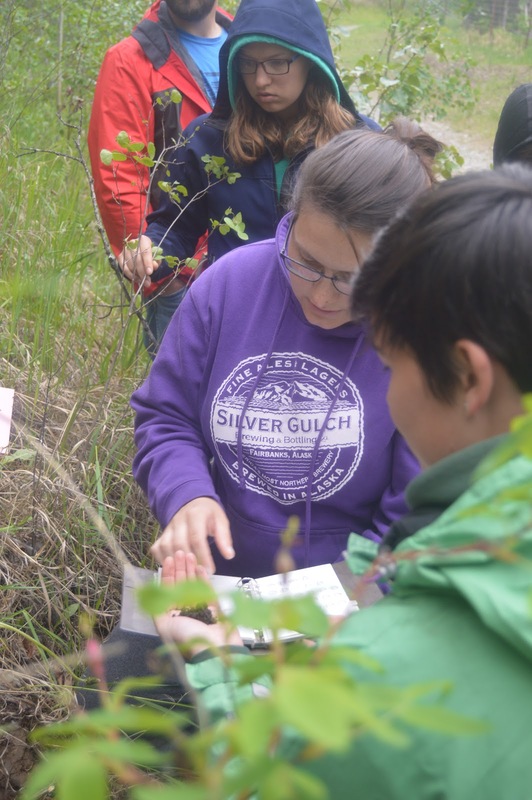 A few of the subjects students will hear about will include hydrology, fisheries management, agriculture, construction of the trans-Alaska pipeline, economic development, oil and gas development, refuge management and environmental education. They’ll also hear about renewable energy, forest and fire management, environmental studies, recreation management and offshore energy management. Fix said the tour is valuable to students. “They see things they would not see in the classroom,” he said. They also get to learn more about natural resources management careers and the diversity of agencies and their management plans, he said. 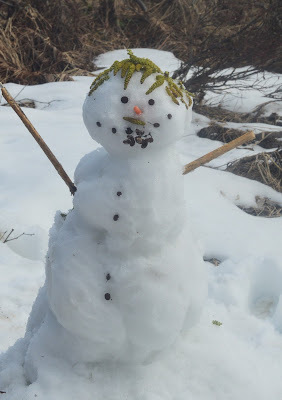 Students utilize a snow resource near Hatcher Pass. Along the route, they will stay at churches, the Matanuska Experiment Farm and cabins at the Kenai National Wildlife Refuge. Associate Professor Norm Harris will join the group for most of the tour. The group will also be accompanied by a UAF graduate student driving a supply vehicle. The class, which began in the 1980s, is required for natural resources management students. Students must keep journals and write a paper. When certain topics come up in his classes, Smith said he thinks of examples he’s seen on the tour. He especially enjoyed visiting Denali National Park and hearing different perspectives about its management and the areas around it. For instance, the state eliminated a no-kill wolf buffer zone near the northeast side of the park in 2010, and representatives from the park want to reinstate the buffer, which they believed increased opportunities to see wolves in the park. “You get to see the different types of management plans,” he said. Thanks to photo support from 2016 participant Jennifer Sybert. 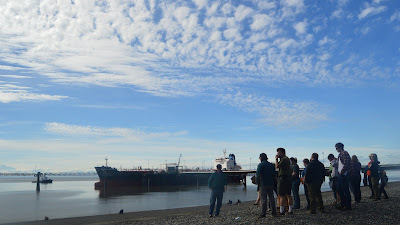 The 2016 group waits on the beach near Kenai and observes a tanker.